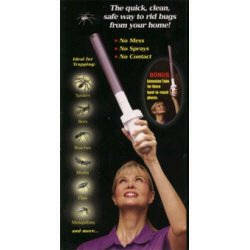 For additional information on our Bug Wand, please email Gift Find Online at info@giftfindonline.com. The Bug Wand is a great product we have been using it for a few years now. We bought our Bug Wand from Gift Find Online last year and we are very happy with it. purchase your Bug Wand today!